When pictures are taken with a Di-II lens mounted on a 35mm film camera, image corners become dark (i.e. vignetting becomes noticeable). Box Dimensions (LxWxH) 6.1 x 5.2 x 5.0"
SP AF 10-24mm f / 3.5-4.5 DI II Zoom Lens For Sony DSLR Cameras is rated 4.5 out of 5 by 36. Rated 4 out of 5 by Anonymous from It's the lens that I've always wanted... I bought this wide-angle with the idea of using it for landscapes and architecture (more specifically, I plan to mount it on the camera that I'm having converted to infrared). Maybe I'll also use it to shoot crowd scenes at events. So far, in the two days of snapshooting that I've done with it (on the Sony a77), it's been everything that I wanted it to be: the focus is fast, the images are crisp, and the wide-angle perspective is an epiphany. This is the lens I've always wanted--without knowing about it. I only gave it four stars 'cos I'm sure there are other, greater lenses in the B&H catalog that I haven't come across yet. Rated 5 out of 5 by n_a from An excellent lens at a great price I have read all the reviews available on this lens. Some said the lens was excellent and some said there were problems. After using the lens both indoors and out, I definately fall in with the excellent reviews. Sharp images with excellent color rendition. Easy to handle, it is only a little bigger than my Tamron 17-50. Some complain about the large lens hood, but what do you expect for a wide angle lens that goes from 10-24mm. They say they have trouble getting the lens in their bag. Well for heavens sake take off the lens hood an put in another part of your bag.I was able to use a standard 77mm filter with no vignetting. All in all I am very pleased I bought the lens. It fills a gap in my lens lineup. Rated 5 out of 5 by Outerbank6 from Clarity Beyond Belief Purchased this lense a little over a month ago. Bought the lense specifically for use in Italy. I was able to capture full views of the various Duomos, even when it was necessary to remain fairly close to the subject. The panoramic views of the countryside are outstanding in their scope and clarity. Had to shoot images inside churches without flash. This lense presented no difficulty in capturing sharp images. Would recommend the purchase of this lense without hesitation. Rated 5 out of 5 by CALQL8 from Great wide lens with little distortion I was amazed that even when zoomed out to 10mm, I still can't see any barrel or pincushion distortion or vignetting. There is some perspective distortion, but that is to be expected in a wide angle lens. Rated 5 out of 5 by Anonymous from This is great wide angle lens! I have always found a wide angle lens to be more of a necessity then a telescopic. When years ago and travelling in Europe the arches, fountains and especially the Coliseum, I needed to go blocks away to be able to capture the entire structure. Since then I have always wanted a good wide angle and now I have one. My camera, Sony 700 among my other Sony's has a C sized sensor I would still like to get an even wider lens. With my film cameras the widest I had was a 24mm. Rated 4 out of 5 by Old Unipod from My first ultrawide - It's a good one I've been wanting an ultrawide for quite a while, and finally persuaded Santa to bring me this lens for Christmas. After a short period of use, I've found it to be sharp enough for my purposes, although there are others better. Wide open, it's pretty soft, but stopped down to about F/6.3 or lower it really does a good job. The build quality I'd rate as 'excellent', It's really a blast to use it for just about any sort of shot. I recommend it without reservation. Rated 3 out of 5 by JonathanStewartPhotos from Useful but not perfect I've been using this on my a77 for about a year now. The focal length is very useful and I've taken some great shots with this lens. My favorite use is to get right up into the face of my subject and still capture lots of background. I also like to set it on a tripod and get long-exposure night shots with it. The wide angle means you see less streaking in star photos. It's a durable lens that's held up to some considerable abuse, and it's not that heavy. I am a little disappointed with the softness of this lens however. Also, distortion from 10 to about 14mm is pretty substantial, lessening towards the center of the frame. What this means is, you have to position faces towards the center, or just zoom in a little bit, otherwise your subjects will look unnatural. Flaring is also substantial, especially with the sun at the edge of the frame. While you'd expect some flaring and distortion from an ultra-wide, the softness is what bugs me the most about this lens. It's acceptable, but not outstanding, and I suppose it's about right for the lens' price point. Also on the minus side is the noisy and somewhat slow focusing, as well as the massive lens hood which causes some difficulty in packing. It's been a good purchase, and I'm passing it on to my wife for use with her a65 whilst I upgrade to the full-frame a99, and look at the doubly-priced Sigma 12-24, hoping it will improve on the sharpness (although in my dreams Sony releases a Zeiss lens for full frame with the same focal length). 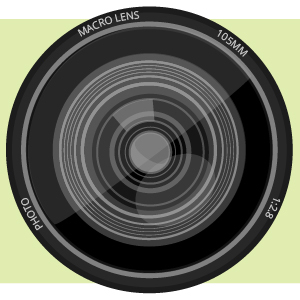 Hello ,This SP AF 10-24mm f / 3.5-4.5 DI II Zoom Lens For Sony DSLR product is compatible with sony a57 ? The Tamron 10-24mm f/3.5-4.5 for Sony is compatible with the a57, yes. Does this fit Sony a7s? I have the Sony Alpha 700 and it does fit, and it works great. Will a 77mm Clear UV filter fit this lens? 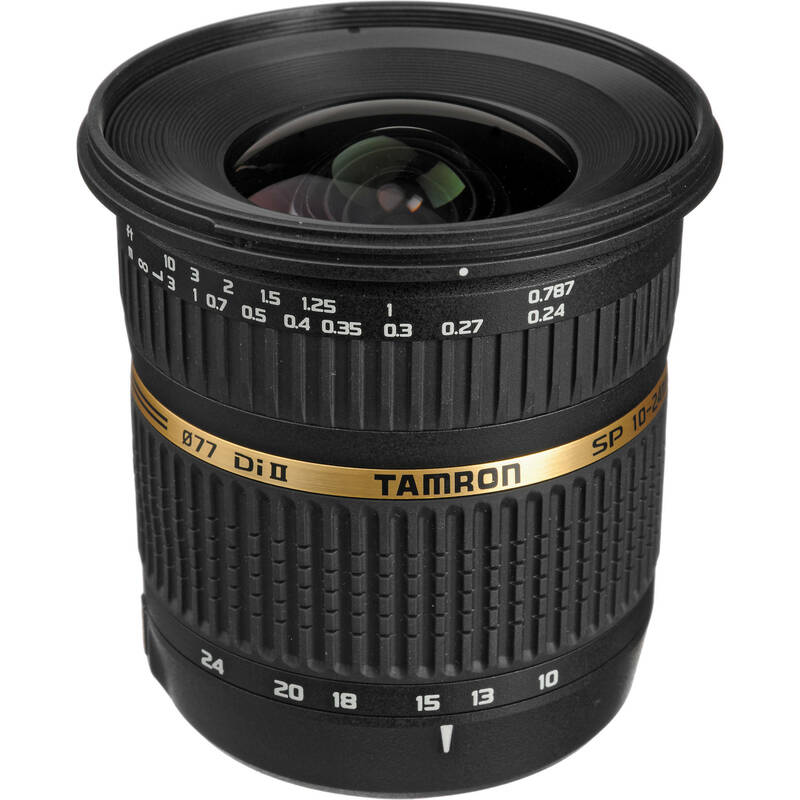 A 77mm Clear UV will fit, the Tamron SP AF 10-24mm f / 3.5-4.5 DI II Zoom Lens has a 77mm filter thread.